Our appliance repair company of Fair Lawn is here to make your entire household work well at all times.You can’t rule out the fact that sometimes any unit can start acting up without prior notice.And when it happens, the consequence can be quite serious.So if your dishwasher isn’t cleaning the dishes well or your fridge won’t keep proper temperatures, call our appliance repair company as soon as you can. We are ready to take care of your problem in a timely and effective way! 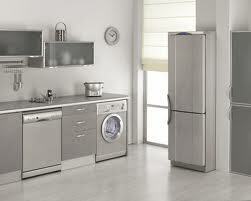 If you are in Fair Lawn, New Jersey, our company is the best option for same day home appliances repair. There is no need to stress out when one of your kitchen or laundry units stops running. 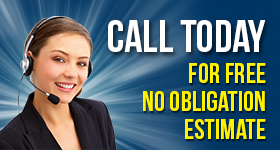 You can simply dial the number of Appliance Repair Fair Lawn and have your issues solved in short order. With a great number of local specialists on the line, we can arrange the timeliest assistance in the area.Fully licensed and insured field technicians help out regardless which appliance is failing to perform right. Did we miss any? Let us know and our Fair Lawn appliance service company will find the best way to assist you! When it comes to speed and efficiency, don’t waste your time trying to choose amongst numerous appliance repair companies out there.Just contact us, as we are the ones you can count on.Not only do we appoint the right people for every project but also offer convenient time frames! We aren’t newbies in this business and know how to handle any appliance service right the first time. So, don’t ignore the benefits you can derive from our partnership. Forget about loads of dirty dishes and piles of laundry.We won’t let you throw away food, meat, and beverages, as we are here to resolve such problems within mere hours.With our Fair Lawn appliance repair company,you can expect to get an excellent service at a time of your choice!